Christy MacLear, who left her post as CEO of the Robert Rauschenberg Foundation in late 2016 to join the Sotheby’s advisory Art Agency, Partners, is no longer serving in her role there, ARTnews has learned. 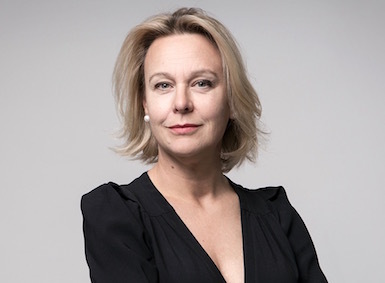 She had left the Rauschenberg Foundation, where she began as the inaugural chief executive in 2010, to join Art Agency, Partners, as vice chairman, with a specialty in artist estates and foundations. We are grateful for Christy’s leadership as we expanded our advisory services to artists, artist estates and foundations and wish her much success in her future endeavours. Last October, Artnet News reported that under MacLear “Sotheby’s has been steadily building up its advisory service for artist estates. Art Agency, Partners, the auction house’s advisory arm, has signed on 12 clients in the nine months since launching the service, including those of sculptor Robert Graham and the artist Vito Acconci.” In February, Pace Gallery and AAP announced that they would collaborate on representation of the Acconci estate. And artist couple Eric Fischl and April Gornik were working with Art Agency, Partners on establishing a foundation. Prior to stint at the Rauschenberg Foundation, MacLear served as executive director of the Philip Johnson Glass House in New Canaan, Connecticut. Art Agency, Partners was founded in 2014 by art advisers Amy Cappellazzo and Allan Schwartzman, along with financial adviser Adam Chinn. In 2016, the New York Times reported that Sotheby’s paid “up to $85 million” for the firm. Update, July 2, 1:20 p.m.: A quotation from MacLear has been added to this post. Update, July 2, 3:30 p.m.: Comment from Schwartzman and additional remarks from Sotheby’s were added to this post.